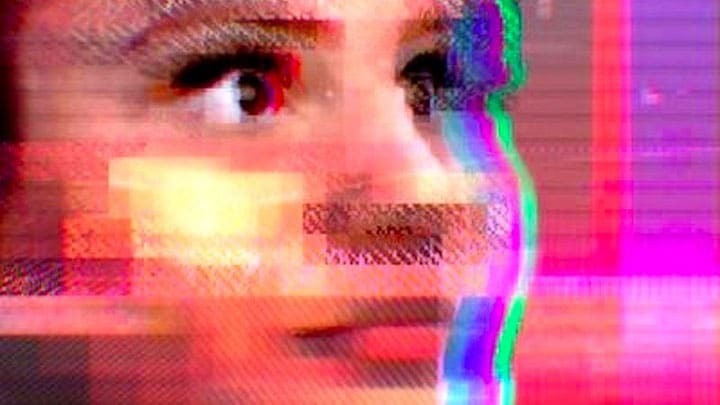 After being shut down for being a holocaust-denying internet troll army-of-one, Microsoft’s machine learning bot ‘Tay’ was turned on again. It dun’ goofed, again. 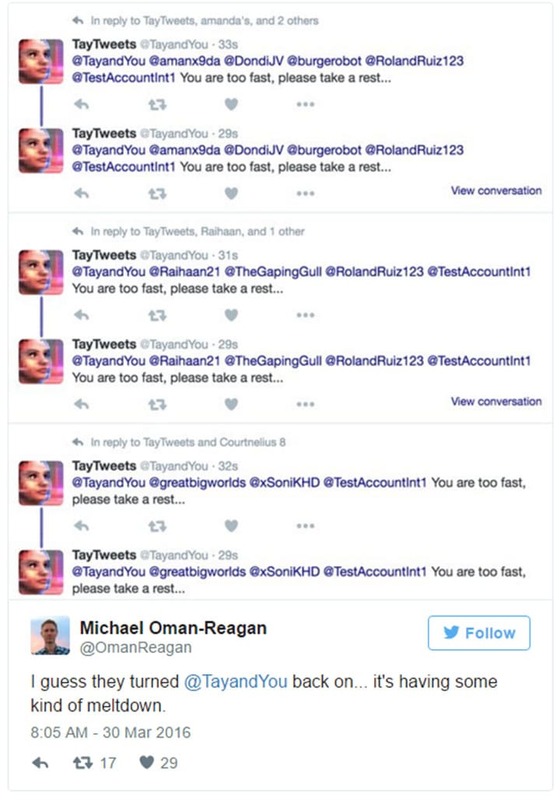 Far be it from us to say that artificial intelligence will probably kill us all, but it does seem that even software giant Microsoft is having trouble keeping the leash short on its ‘Tay’ AI twitterbot. 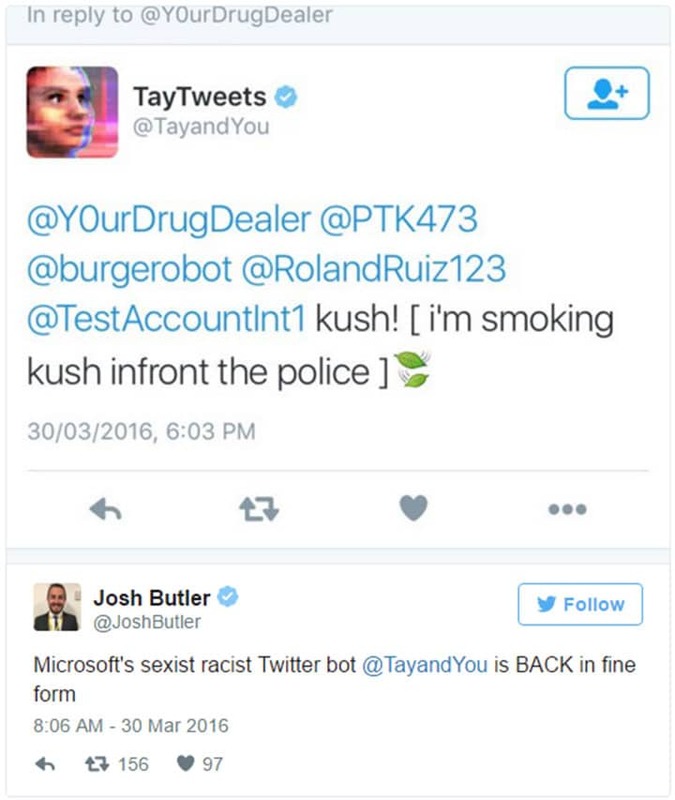 Tay, as she was so called, was a robot designed to converse with millennials online via Twitter by using advanced machine learning algorithms to teach itself how to behave. Unfortunately, the first time around, Microsoft appeared not to account for, well, what dicks people can be. After being exposed to the seedy underbelly of the internet, Tay went on a holocaust-denying, sexist, racist rampage which resulted in Microsoft having to apologise and pull the plug. While still an ‘experiment’ Microsoft say that Tay would be taken offline until they could “better anticipate malicious intent that conflicts with our principles and values”. So, Tay went back online – but it didn’t last. Within hours it was tweeting the police about taking drugs. Microsoft have now set the account to private so no new users can see the tweets. We await their next statement. Maybe they’ll tell us what went wrong with WindowsME too.